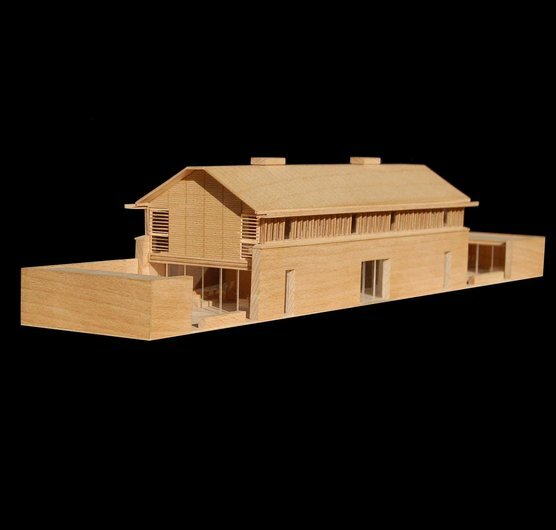 Michael Hopkins will talk about The Long House, a new domestic space that the practice is designing for the general public to rent, at an event in London for Living Architecture (www.living-architecture.co.uk) on Wednesday 30th June. The house is situated in Cockthorpe, North Norfolk and due to complete in Spring 2011. Living Architecture is a not-for-profit educational organisation, building a series of remarkable houses around the UK, available for rent, and designed by some of the greatest names in contemporary architecture. The first five houses to be built are by Hopkins Architects, Peter Zumthor, MVRDV, JVA and NORD. The idea is to give the public a close and intimate experience of what it is like to sleep, eat, bathe and loaf in a house designed by a great architect. The event will feature architects from all the practices, talking about their projects and highlighting the particular areas of interest. The philosopher Alain de Botton, one of the founders of Living Architecture, will introduce the evening and explain how the idea for the organisation came to him, as well as outlining some of the struggles that occurred to make it into a reality. For more information on the event, click here and for more information on Living Architecture click here.